Step 1: Know what’s on the credit report. 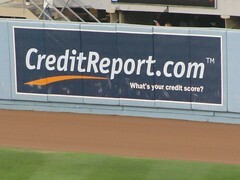 The first step to disputing credit report errors is to know what exactly is included in your credit report. Some of the information that is printed on your credit report include your name, address, bill payments, credit accounts, bankruptcy filings, and any legal problems, such as whether you have been arrested or sued. It’s important to understand everything that is on your credit report so you can spot errors and have them fixed as soon as possible. Remember to review your card periodically to ensure that the information is correct and accurate. Step 2. Understand the repercussions of having false information on your report. Next, you should understand the repercussions of having falsified or erroneous information on your credit report. Having false or inaccurate information on your report can affect your chances of getting a loan. Identity theft may occur if your information is misrepresented or used without your permission, and you can face criminal charges if you tamper with or fabricate false information that has an affect on your report. Step 3. Report errors as soon as possible. If you find erroneous or false information on your credit report, you should contact your consumer reporting company as soon as possible to bring their attention to the problem. Go through the information with the credit reporting company to ensure that your information is correct and that the correct information is reflected on their records. Tell any creditors that may be affected or involved with the issue at hand. Send copies of the documentation with errors and copies of any documentation that shows proof of the correct information. Remember to be patient while waiting for the credit report investigation to finish, but also show that you are persistent in wanting to solve the matter and correct the information. An accurate credit report can help you qualify for loans with better rates and terms. Not only that, you get to present facts about yourself and your credit worthiness. Online Loan Company – Getting accurate credit report or record.